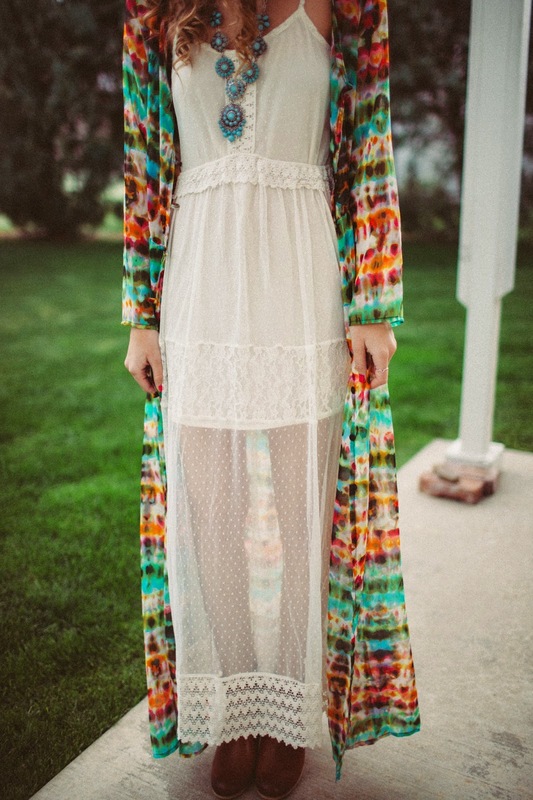 Meet my newest obsession…this maxi dress/cardigan. Although it’s vibrant and the pattern is loud, it’s easier to wear than you would think. I’ve already figured out quite a few ways to wear this for spring and summer and am excited to share with you! For a warmer spring day, I paired it with a pretty white maxi. I love pairing this bright piece with white as it really allows the colors to pop. A gorgeous piece of turquoise jewelry (this necklace is a STEAL!) definitely helped channel some boho vibes. 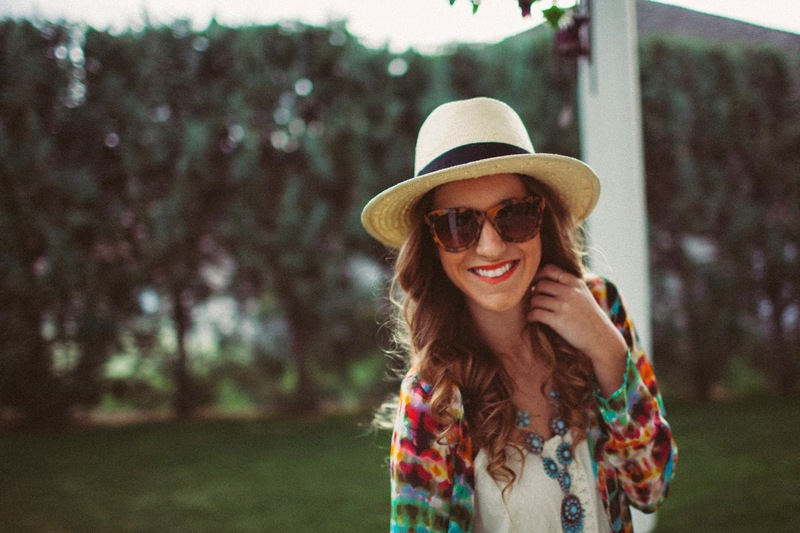 Of course I added my favorite hat and sunnies combo…I’ve been wearing this way too much lately! 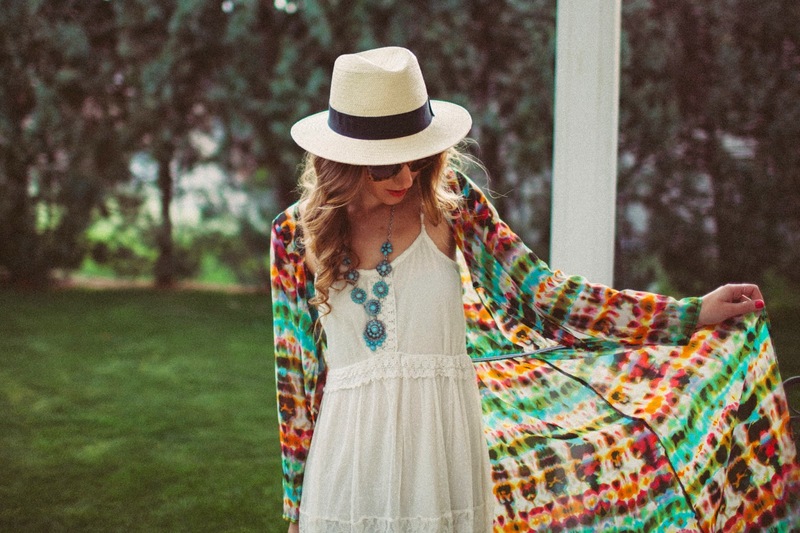 Are you convinced that this cardigan/dress is a summer staple yet?!? This entire outfit is seriously SO perfect and summery! Love everything about this outfit! Great pictures too! Very pretty. Love the dress! boho BABE!!! you are too fun and your outfits are always so adventurous, i love it!! good software nowadays, however you could make use of various mobdro for android I think that you are very similar to streaming media as well as exactly nice. The flick collection of the Voot app apk is amazingly far better. Voot APK 2017 which may carry something of your option. In instance.